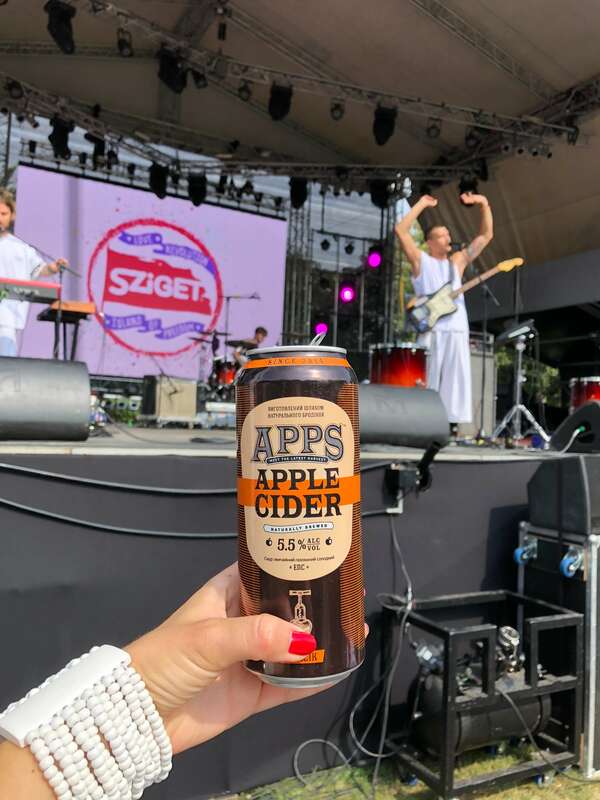 The event for which New Products Group and the APPS™ brand teamed up with the legendary Sziget Festival in searching for the juiciest cider of new Ukrainian music finally took place! 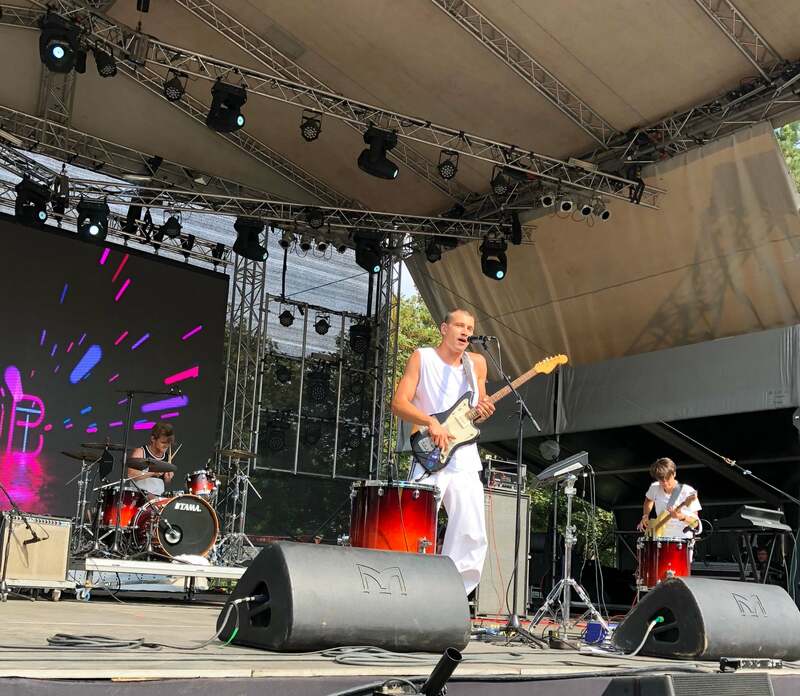 The winners of our joint APPS Music & SZIGET: Awards – the band KADNAY – went to Budapest and played their energetic set on the Sziget 2018 European Stage! Within the framework of this months-long project, the band KADNAY impressed both the jury and the Ukrainian audience. That is how KADNAY became the most delicious fruit of the Ukrainian indie scene of the first half of 2018, honourably gaining the right to represent the country in front of the European public. The most prestigious music festival in Eastern and Central Europe, Sziget, which takes place on an island in the middle of the Danube, brings hundreds of thousands of music lovers from around the world to watch their favorite musicians and feel the fantastic, incomparable atmosphere of the Island of Freedom. This year, among the stars performing on various stages of Sziget were Kendrick Lamar, Arctic Monkeys, Lana Del Rey, Kygo, Mumford & Sons, Dua Lipa, Liam Gallagher, Gogol Bordello, and many other artists. It is good to know that Ukrainian artists performed on the same level with world-famous stars – such artists as 5’NIZZA, ONUKA and, of course, the winners of APPS Music & SZIGET: Awards, KADNAY. 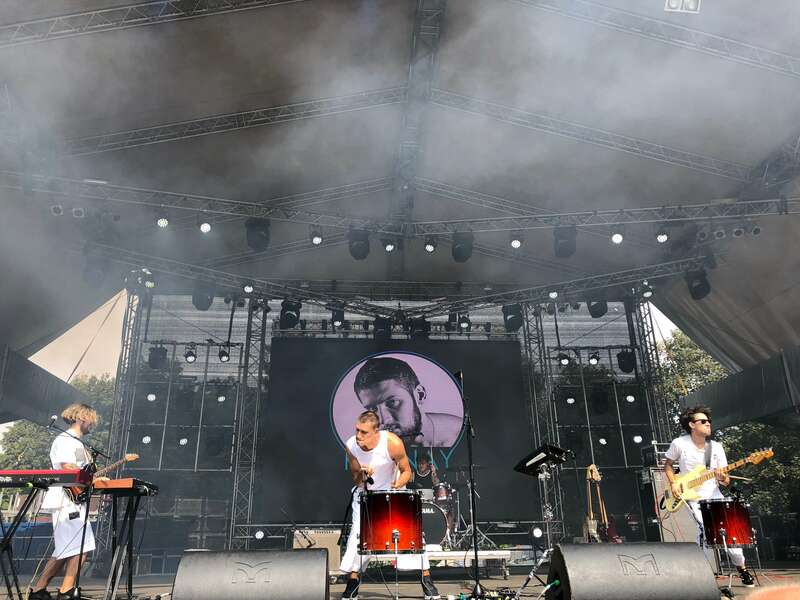 The band’s performance consisted of Ukrainian and English-language songs, and KADNAY himself sang, danced and played three instruments (guitar, drums and drum machine). Everything felt so organic that the audience unwittingly “wound up” and began to move to the beat of music. In the crowd we could see our compatriots with Ukrainian flags, and also people enjoying APPS™ – they were documented by cameras. The legendary Ukrainian cider was very appropriate here, because, on the one hand, the heat of the music and the weather called for refreshment, and, on the other hand, APPS™ is not simply a delicious product – it was no accident that APPS™ was the brand searching for the juiciest fruit of Ukrainian music. After all, APPS™ is a drink for those who value their individuality, who want to live without borders and communicate without restrictions. The same can be said about music played at Sziget, and about the festival in general. APPS™ and Sziget were simply created for each other! We hope that the brilliant performance at Sziget 2018 will not just be a dream come true for KADNAY, but a new chapter in the artists’ European career. APPS Music & SZIGET: Awards is a collaboration between APPS Music Awards, which has already explored the state of Ukrainian independent music last year, and Sziget Festival, one of the most well-known festivals in the world, where any musician would be honoured to play. The selection of Ukrainian bands to perform on the Sziget stage has already been held in our country twice: in 2015, ONUKA won the contest, and in 2017 – Atomic Simao. The APPS Music Awards was first held in the summer of 2017. The winner in the category “Breakthrough of the Year” was Indytronics, and Be My Guest won in the nominations “Video of the Year” and “Song of the Year”. APPS Music is a music award founded in 2017, which aims to seek out new acts in rock and electronic music. First listeners, and then the leading representatives of the country’s music scene choose the best of the best via voting. They do not make stars out of no-names, but help talented underground performers be noticed.